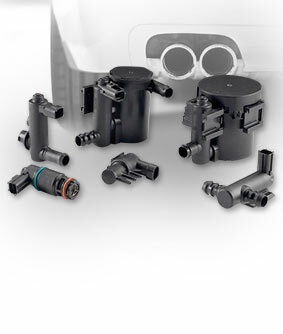 The solenoid based actuators are designed to meet OBD evaporative fuel emissions system requirements. They come in ported and integrated versions and are adaptable to different port directions and connections. Stoneridge also carries dust filters for the CVS family.